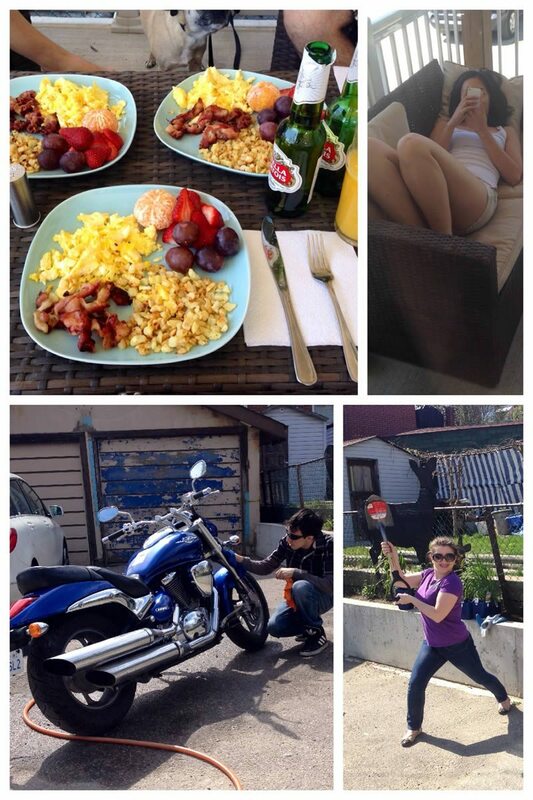 Outdoor Shenanigans - Good food, good friends, good bikes, good gardening, and halfway decent beer. 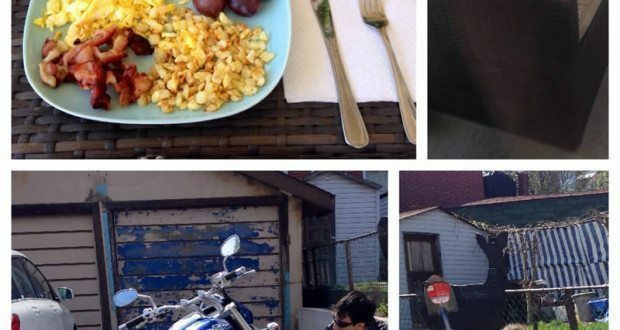 I was reading YouMotorcycle’s Twitter feed Sunday morning and noticed @Forbes tweeted How To Overcome The Most Common Barriers To Homeownership. What was really missing from the article was a true to life example of how to jump the hurdle and reach a home ownership goal. As someone who gets a lot of emails from people asking for advice on how to buy a motorcycle and how to save money motorcycling, I thought I could help. 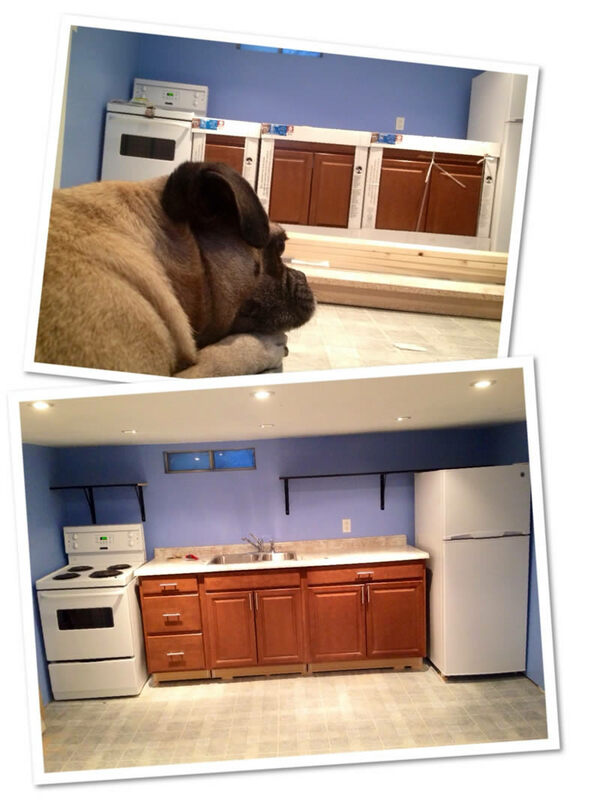 Basement Kitchen Renovation – It was an empty wall with a rough-in for a kitchen when I bought the house. Not for long. Tenants go a long way towards paying the mortgage. 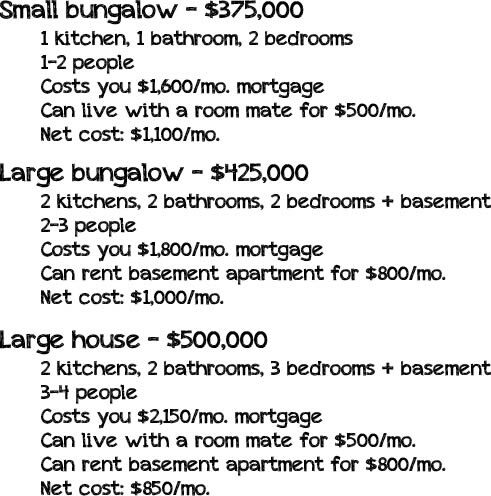 My basement tenant pays $750/month. Hard work is the driving force. Hard work is the difference between a couch potato’s dreams, and an ambitious person’s future. Hard work is the key to the front door of your home, or the key to your motorcycle collection, or whatever it is that you’re after. Remember, you’re young, energetic, and enthusiastic. Now is the time to hit the ground running! Smart work is the difference between working at a minimum wage job, and working hard to acquire the skills you need, or the networking you need, for a more rewarding job. Tip: A more rewarding job isn’t always a higher paying, it could simply be a job with better perks, or a job which prepares you for a career in an industry you’d like to work in in the future. Much like with motorcycle riding, never look where you are. Look where you want to be. You’ll need to have a complete disregard for the standards and norms of your society, culture, and religion. Why? Because in a lot of cases these norms don’t have space for a single (unmarried) person in their mid twenties to buy a house. The answer? Say to hell with convention! We’re going to get you in that house, even if we have to kick down the door of the status quo. 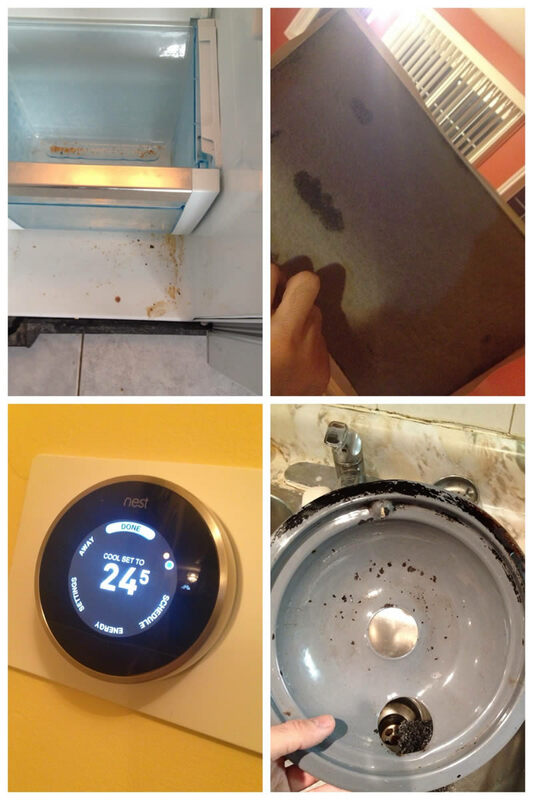 Cleaning and Upgrades – Replaced all of the ventilation and furnace filters, cleaned up the oven, scrubbed the nasty fridge, and installed a programmable learning thermostat. Next up, I’m going to give you the details, the exact four steps I took to make it happen. So you have a nine to five job. That’s cute. I make an entry-level salary. I know many people in their mid-twenties who have stuck with something long enough, or have found a trade or specialty, and are already making twice my salary. I am nowhere near being one of these people right now, and the odds are that you aren’t one of them either. You’re going to need to pick up another job, or two. Look for something that requires a qualification which few people have, but which could easily be achieved. A job which preferably pays cash, and which can have a high turnover or is likely to need people last minute. That’s how you get your foot through the door. Recommendation: Security, bartending, trade apprentice, etc. I took the bartending approach, and she was good to me every Saturday night for six years. Working one night a week I averaged $150 a night, once a week, for an extra $7,800 a year. Working an extra night or two a week means sacrifice. You’ll miss out on some of the best parties and vacations that your friends will ever take. You’ll spend countless family events in bed, asleep, because you only got in from work a few hours earlier. Both friends and family will think you’re an anti-social jerk. Buy your house, and then invite them all over. If they love you, they’ll understand what you were up to all of those days and nights you weren’t around. If they don’t they’ll think you’re some kind of sociopath. Ignore these people. When I was a kid, a buddy and I used find all kinds of ways of making money. Dropping off flyers, shoveling snow, you name it. Shoveling snow turned out to be the bread and butter of making money in the Canadian winter. Which meant it was time to find smarter ways of doing it. Before long I had ads on craigslist that were targeted to more upper-class neighborhoods than our own. People would pay $50 to have their snow removed from their business or income properties. Minimum wage was around $6/hr at that time, so to be making $50 for less than an hour’s work was great as a teenager. These days that kind of work is backbreaking for me, and I’m glad I don’t have to do it anymore. You really need to always look for smarter ways to make money. My two blogs, YouMotorcycle and bikerMetric generated about $2,400 between February 1st and March 31st, 2014. I don’t have to sweat it out anymore. I can make money from my chair, in my office, in my underwear. There’s a pretty mental-image for you! 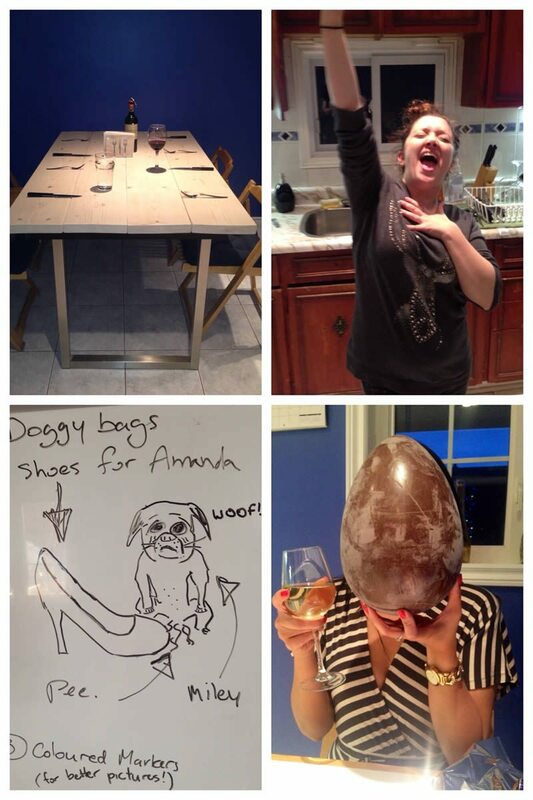 Kitchen Shenanigans – Because the kitchen is the heart of every home, and life’s too short not to have fun. Do a little research on things that affect your credit score. Consider scheduling an appointment at the bank and they’ll tell you all of the things you should know. You should already be doing the basics for your credit score like paying your credit card balance early, paying frequently, not leaving an unpaid balance etc. but articles like 10 Shocking Things That May Hurt Your Credit Score will help you go a little further. A mortgage approval isn’t based entirely on your salary. If it was I never would’ve gotten approved. A good credit score makes all of the difference. Tip: While I don’t endorse asking for help before making the purchase, in this case I did ask Mom for some help. She cosigned on my mortgage which dropped my mortgage rate by 1%. Her signature alone saves me $200/month. Thanks, Mom. Just because one thing costs less than another, that doesn’t make it less expensive. Think of an old motorcycle that could be on the verge of needing a total rebuild on its motor. Not necessarily the great deal it seemed at first. These numbers are based on 10% down, 3.09% interest, 25 year amortization, and are for estimate only. The most expensive house is priced at 33% more than the least expensive house, however, it is actually 22% cheaper. Sure, the bigger house is going to be more expensive to heat, cool, and power, but as a general rule: @#$% the price tag, think only of the cash flow! 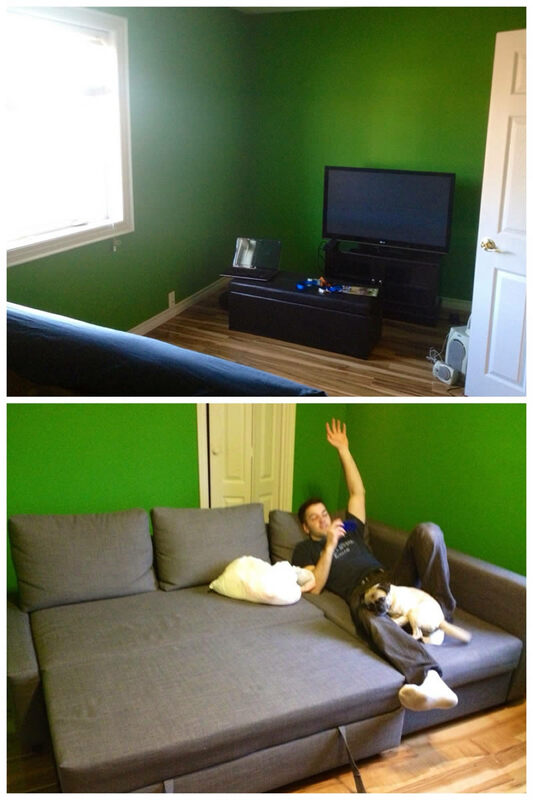 Living Room With Martin – Even Motorcycle Mojo Magazine’s Martin Van Der Staay came by to lend a helping hand! Finally, and maybe more importantly when it comes to saving all of that money you’ll be making, 15 other short tips you need to think about. Outdoor Shenanigans – Good food, good friends, good bikes, good gardening, and halfway decent beer. My last tip: Never forget to say thank you! So on that note, a big THANK YOU to my employers, my tipping customers, my advertisers, my readers, my parents, and certain other family members and friends like my girlfriend “G” and my uncle Steve who make this all possible for me. Thank you! If you need me, I’ll be in my garage, building something with my new mitre saw and Kreg Jig , or out playing on one of my motorcycles. 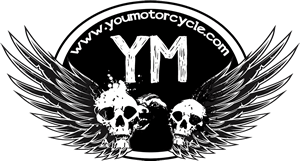 Adrian is the YouMotorcycle Editor. He never planned on becoming a blogger, but liked the idea of sharing his passion and encouraging others to get out and ride. He believes that anyone thinking about buying a motorcycle should hurry up and buy one, and that everyone who already owns a motorcycles should ride more. He likes V-Twins, scooters, and breaking social norms. He occasionally wears a suit and high-top sneakers when he rides to work. Sometimes he takes out his tools and everything goes from bad to worse. Sometimes everything just falls into his lap. Whatever the case he stays grateful and always tries to learn. If you feel motorcycling is a lifestyle, follow him via social media.